Adobe have recently released a new version of the Lightroom app for Android, and among other things, Lightroom on Android 2.0 happens to be the world’s first end-to-end RAW mobile photography app. 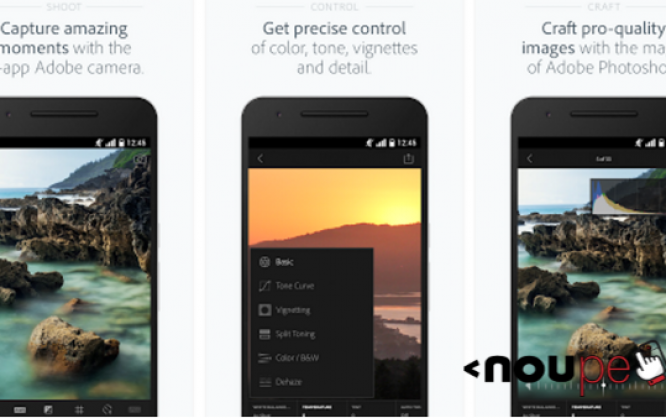 In other words, Lightroom 2.0 lets you shoot, edit and share RAW/DNG photos using your Android smartphone or tablet. So far, Lightroom has been a simple app for photo editing, but this new version comes with an in-built camera that can capture DNG format RAW photos. The camera has presets of its own, that you can apply to your images. The app requires Android version 4.1 and above, and some of the custom presets will require OpenGL 3.0 support. You can download the Lightroom 2.0 for Android app here. Given it a spin already? How has your experience been with Lightroom 2.0 for Android? Share your views in the comments below! Going to try this out on my LG G4. Shooting raw photo’s is great, because of the flexibility!